When it comes to food, nothing can be more gratifying than fresh food you’ve prepared by yourself. If you love meat, then homemade sausage is pure bliss. However, the sausage casing you use is critical to your success. Namely, the sausage casing you choose plays a significant role in your sausage making and eating experience. Casings can come in a variety of types and sizes, including fibrous casings, collagen casings, synthetic casings, and natural casings. For homemade sausages, however, you would want to choose natural sausage casings as they deliver the best flavor and appearance to the final sausage product. 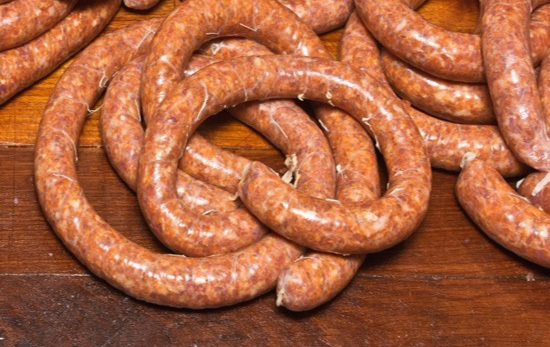 Let’s learn more about natural sausage casings and why they are an excellent choice for homemade sausages. Natural sausage casings are made from the submucosa, a thin layer of the intestines that are composed mainly of collagen. This submucosa is mainly derived from sheep, pigs, goats, cattle, and even horses. Natural casings undergo a kind of processing that makes them tender so you can eat them along with the sausage. There is a common question though: Is it safe to eat sausage casings? The answer is to be sure the sausage casing you’re eating is natural. If you’re a novice in sausage making, it’s advisable to use hog casings as they’re easier to work with, compared to the delicate sheep casings. They also produce an excellent, thick sausage. Now that you understand what natural casings are, let’s explore some of the benefits you’ll enjoy when you buy the best all natural casings for homemade sausages. With natural casing, your sausages will remain fresh for a long time, whether you’ve grilled them or stored them. These casings can generate and preserve heat, which helps to maintain the freshness and original taste of sausage for a long time. They are also useful in protecting the flavor – they neither take away nor add to the unique taste of your sausages. Natural casings boast variable permeability, which facilitates even penetration of smoke throughout the sausage. As a result, you’ll get sausages that are evenly cooked and nicely done in a relatively short time. Variable permeability ensures your sausages have a mouth-watering aroma and consistent flavor. Unlike most synthetic sausage casings, natural casings are easy on your teeth. Coupled with sizzling flavors, homemade sausages with natural casings are sure to leave you asking for more. There are also a few tricks to improve the bite on your sausage casings, like cooking with moisture and pricking your sausages before grilling. Providing humidity during the smoke cycle can also do a perfect job in enhancing a tender eating experience. Natural sausage casings are an ideal choice for homemade sausages. They deliver the best flavor and appearance to the sausages. They enhance and complement the natural juices and quality of the meat and other ingredients. Moreover, they allow for even penetration of smoke resulting in evenly and nicely cooked sausages.